SCCA SPEED World Challenge Touring Car team ready to maintain their momentum this weekend in New Jersey after winning the season opener at Sebring. 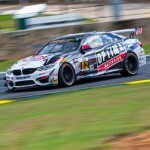 Dublin, Virginia’s BimmerWorld Racing turned a winter of non-stop work into a captivating win for Seth Thomas at the season opening round of the SCCA SPEED World Challenge Touring Car series last month in Sebring, Florida. 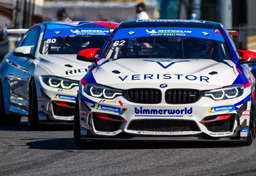 Followed home by teammate Nick Esayian in 5th and team owner/driver James Clay in 6th, Thomas was not only elated with his own success, but with his BimmerWorld/GearWrench team having filled half of the top-6 spots in the race. And now with a six week break between Sebring and this weekend’s round two at New Jersey Motorsports Park having passed, the three-car BMW E90 effort is ready for another strong performance at the twisting 2.25 mile, 14-turn circuit in Millville, NJ. For Thomas, the hiatus has given him ample time to reflect on his first Series victory. “Starting off the season with a win and leading the points has been a huge confidence booster for me. 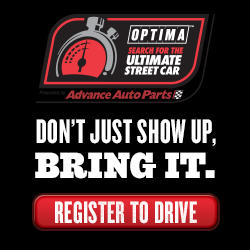 This is the situation BimmerWorld and I have been trying to put ourselves in since we first started racing in World Challenge.